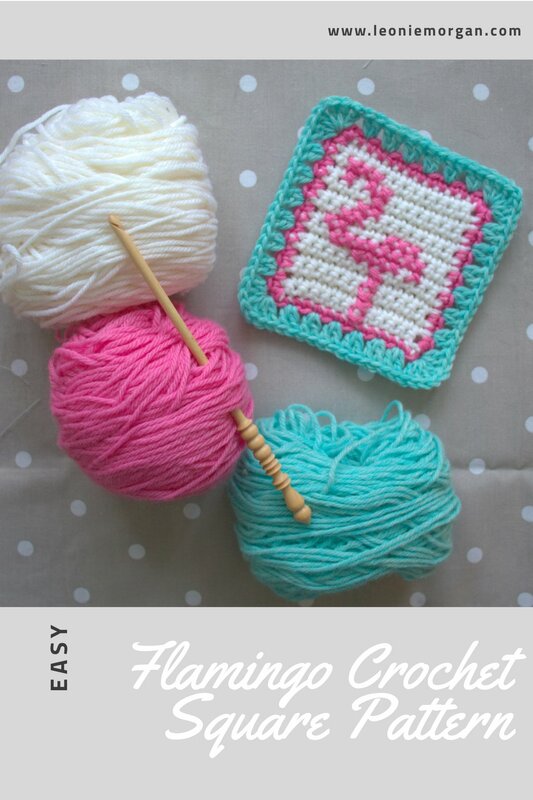 My Flamingo Square crochet design is a quick and easy pattern for a really cute and fun crochet block. It was first published in Crafty magazine years ago but is now rejigged, rewritten and twice as nice! Sadly, the magazine is no longer running but a lady contacted me recently asking how to get her hands on the pattern. I’d completely forgotten all about it! So, rummaging through my files I found the original. It was one of the first patterns I had published and really needed a bit of updating so I’ve rewritten it and used different yarn for this latest version. The square is really easy to make! You’ll need Worsted or Aran weight yarn, a 5mm (H) size hook to make this square. 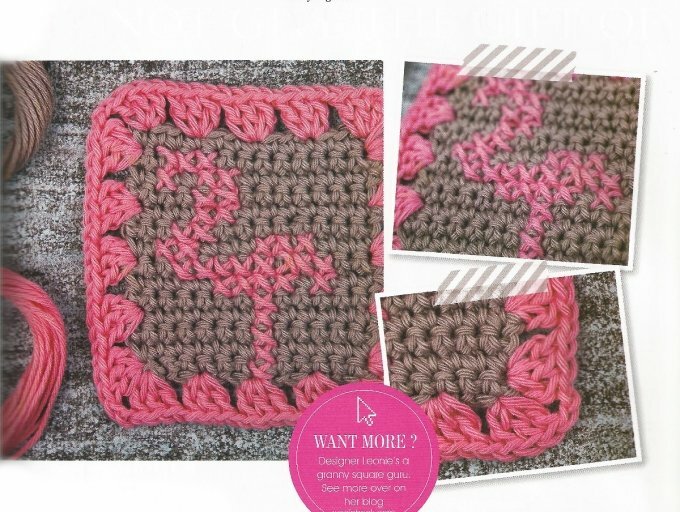 The block uses basic crochet stitches and then the flamingo is cross stitched onto the block (I’ve included some photos for you in the pattern to show how that’s done). You can also purchase the pattern and yarn from Love Crochet. One ball of each colour will make approximately 15 squares which is enough for a little blanket! Leonie, thank you again! I’m really looking forward to making this one! Indian Summer CAL Week 6 – Out Now! Indian Summer CAL Week 5 – Out Now! Indian Summer CAL Week 4 – Out Now! Indian Summer CAL Week 3 – Out Now! Check out my designs – Exclusive to Deramores!